Longhorn Leather AZ - Custom gun leather for the discerning shooter. We specialize in custom (made to order) leather holsters and gun belts for the Cowboy Action Shooter (SASS) as well as 1911 enthusiasts. Our 1911 holsters and gun belts are design by shooters to deliver the highest level of quality and performance. Whether you're a 1911 enthusiast, recreational shooter or just everyday carry .... you've come to the right place! 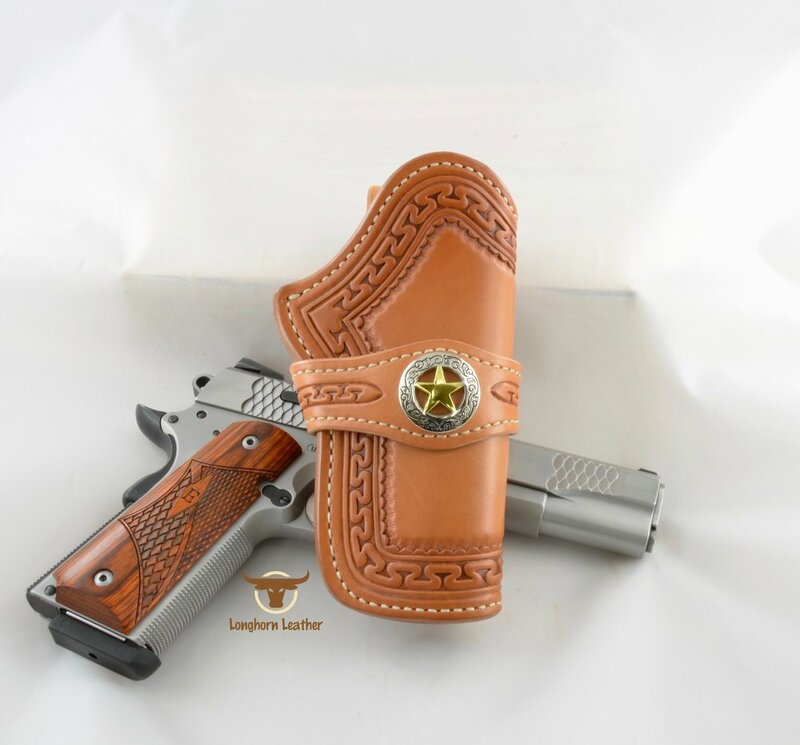 Longhorn Leather AZ produces only the finest holsters and gun belts. Our custom gun leather is made with premium quality materials and age old techniques that have been passed down from one superior leather craftsman to another. We do things the old fashioned way; handcrafting all of our goods from start to finish, just as we always have. Though our methods are time consuming, we are certain that you will appreciate the difference. We build exactly what you want! Yes, you heard us! We build to order so you can select any holster and gun belt that you've seen and we will custom build it to your specifications.